A self-proclaimed lifelong bookworm, Alvina Ling is following her passion for publishing great, diverse books for today’s readers. She recently shared these thoughts about her career and her role in acquiring popular and award-winning titles for kids and teens. I always loved books. My parents, Taiwanese immigrants with advanced degrees, read to me constantly. For me, books are living things, best friends and companions. After college, I worked at radio stations and film production companies, but I did not fall in love with the entertainment industry. When a friend suggested I look into publishing, I took the advice and followed the path laid out in a book called Making it in Book Publishing, starting with working at Barnes & Noble, then moving to Boston and interning at the Horn Book Guide and Charlesbridge Publishing. By then I had reconnected with my childhood best friend Grace Lin, who had just gotten her first contract for a picture book. We would go to bookstores and libraries in search of books with Asian characters. One of our favorite middle grade titles was [Lensey Namioka’s] Yang the Youngest. In 1999, Little, Brown editor Megan Tingley hired me as her editorial assistant. Megan had edited Yang the Youngest and was committed to publishing diverse books. That’s why I felt so comfortable working here from the get-go. When I first started out, I was surprised by how much “selling” is involved. Not in the sense of selling a book to readers, but selling your ideas and visions in-house, through a series of meetings: editorial meetings, acquisition meetings, sales meetings, marketing meetings, jacket meetings, and more. Only about 10 percent of my time was spent on reading new manuscripts. As Editor-in-Chief, 80 percent of my office time is devoted to meetings and making business decisions. This position allows me to shape the entire list for Little, Brown, and to make hiring decisions that impact the company as a whole. I still edit eight to 12 books a year, but pretty much only on the weekends. What’s your favorite part of being an editor? My favorite moments are probably when I first see the finished art for a picture book. It is magical. For example, we just received LeUyen Pham’s artwork for a book called Bear Came Along by Richard Morris, way ahead of schedule because it is a project that inspired her. It is in a completely different style from her previous work. That’s very exciting to me. What do you look for in books you acquire? I have to love the manuscript, of course. My taste is all over the place. I love issue books, horror, mystery, books that make me cry, animal books. When I was really into the TV show Dexter, I told Barry Lyga that I wanted “­Dexter for teens.” Two days later he had an idea that became I Hunt Killers. I also want to make books that I wish had existed when I was a child like Grace Lin’s Year of the Dog and Where the Mountain Meets the Moon. I edited both titles. No matter in what genre, or for which age range, I always want to publish books that further the empathy of our readers. You were the editor for Laini Taylor’s Strange the Dreamer, a complex and powerful book. What was it like to edit this title? Laini’s prose is always very clean and full of beauty. I know I never have to edit her language. It’s more about the big picture. We even had to delay publication because we wanted to get it just right. I love the ending, even though it is so devastating. In the original manuscript, another character died at the end! When we discussed how to make the ending more impactful, Laini came around with three options and we decided on this one—it’s the right ending, even if I hate that it had to end that way, too! Muse of Nightmares (the sequel) is coming out in October. Can you tell us about acquiring Emily X.R. Pan’s debut novel The Astonishing Color of After? It was the first manuscript I read after my husband passed away, losing a long battle to cancer. I was immediately drawn by how beautifully Emily writes. The imagery of the red feathers. The grieving process. Leigh’s story was therapeutic to me. Multiple houses wanted the manuscript and we had to win it at auction. The original story was quite different, more of a portal fantasy and set in Shanghai, not Taipei. We finally settled on a more contemporary tale with magical elements culturally specific to Taiwan that required a lot of rewriting and research, but Emily pulled it off wonderfully. The book makes me cry every single time, in a good way. This is the book of my heart. You have edited many well known and award-winning authors, but also authors whose books do not make big splashes. What would be your advice to authors in general? Be realistic. Know that it’s such a tough business. Only two or three books out of 10 actually do well. It’s rare that an author sees success immediately and stays on top. But those are the stories you hear. In the age of social media, many authors try to “appear” to have that kind of success and it often makes other authors feel insecure. How do you envision the future of the children’s publishing? I’ve always told agents to bring me books by and about people of color and felt obligated to publish as many books by POC as possible. But now every editor is asking for and publishing them. I no longer have to worry that if I don’t publish a particular manuscript no one else will. Diversity in publishing is here to stay. I’m very optimistic. 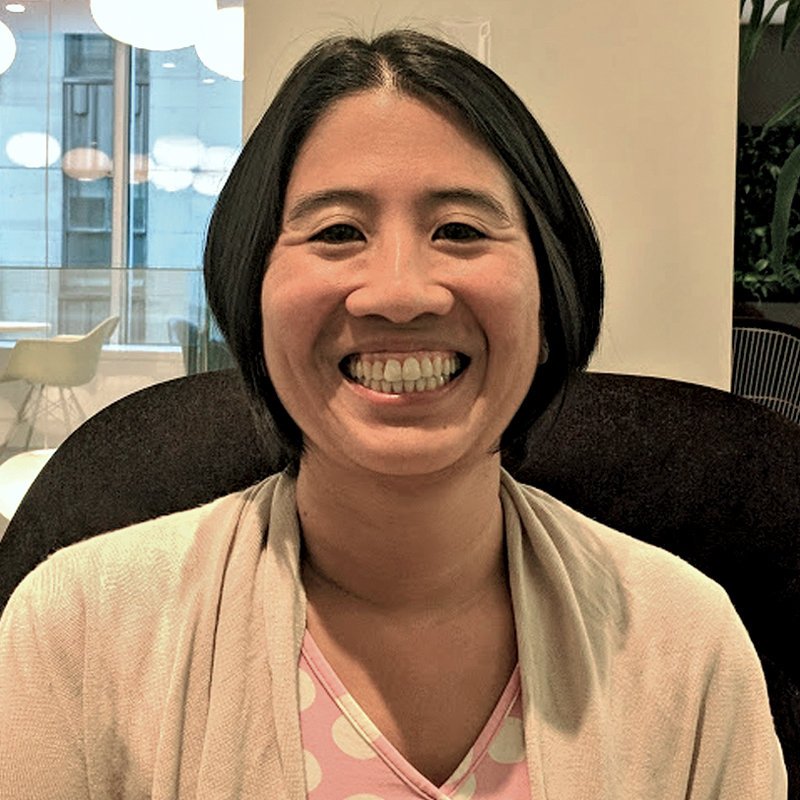 Roxanne Hsu Feldman is the middle school librarian at the Dalton School in NYC and a SLJ “Heavy Medal” blogger.